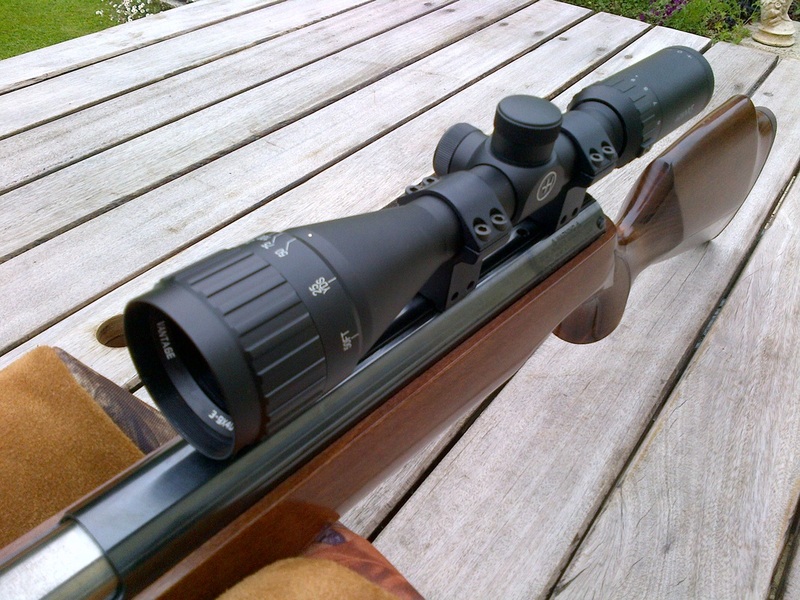 As more and more rabbits have been appearing on one of my permissions I decided to treat myself to a scope upgrade for the start of the summer. For the last few years I’ve been shooting fairly successfully with a second hand HW97k I picked up from my local gun shop complete with a scope and bag for £295. Although the 3-9x50 Hawke Sport HD it came with is a superb scope, the 30/30 reticule and fixed parallax were limiting the ranges I could shoot at. 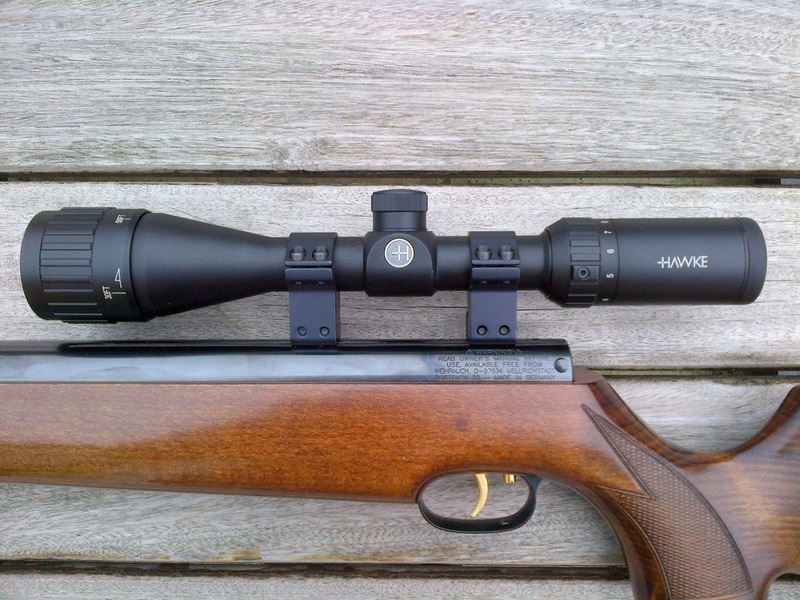 After some research I decided on the new(ish) Hawke 3-9 x 40 AO Vantage. The main reason for the upgrade was to get a mil-dot scope. I hoped that with practice this would allow me to sensibly extend my hunting range beyond 30 yards. I also wanted an adjustable objective for close range rat shooting around the chicken pen in the winter. 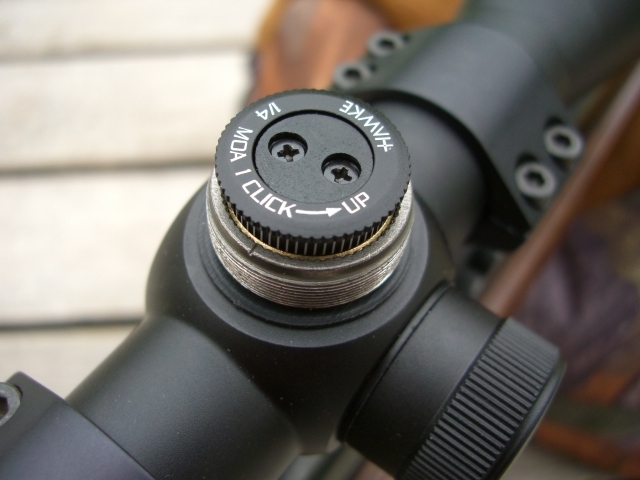 An adjustable objective lens also comes with the added promise of some help with range finding. The smaller 40 mm objective was a gamble to try and save some weight. However I knew that if I found it didn’t give the low level light performance I was after it would be easy enough to sell the scope again. I wasn’t interested in an illuminated reticule as I’ve never had a problem shooting in low light conditions in the past. The scope was bought from Countryway Gunshop for £47.99. Not only was this cheaper than anywhere on eBay or Amazon, but they even included a set of Hawke Match Mounts! The scope arrived the next day – all in all superb service at a very keen price. Variable zoom and reticule focusing ring. Adjustable objective gives a guide to range. ​The scope came in a sturdy cardboard box, along with lens caps, Allen keys, instructions and a cleaning cloth. As I already have a nice set of mounts on the rifle I decided to leave these in place and swapped the scopes over. A little tip I learned a while back – when zeroing a brand new scope take your first shot at about 10 yards. 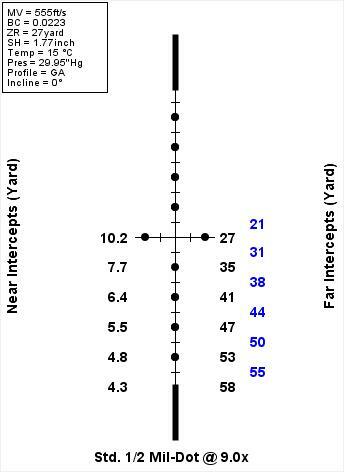 For a .22 air rifle the point of impact will be about the same as for 27 yards, but you’re much more likely to hit the target even if the sights are wildly off. The turrets were easy to adjust and importantly didn’t require a coin / screwdriver to adjust. I found that point of impact moved as expected – there was no horizontal creep on vertical adjustment, or vice-versa. ​Once I had my point of impact dead on at 27 yards I shot a (rested) 10 shot group. The POI wasn’t moving with the recoil so I was happy everything was tightened down firm and straight. The reticule is very neat, with the mil-dots being much more subtle than I was expecting. Low-light performance was excellent, both with and without a torch. Next it was time to do some ‘virtual’ setting up of the scope. 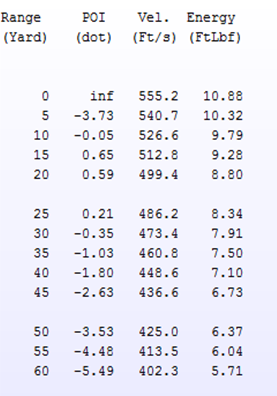 I know my rifle is producing a very consistent 555 fps with 15.9gr JSB Exacts (10.9 ft/lb). I also knew that it is zeroed at 27 yards. The distance from the centre of the barrel to the centre of the scope tube is 1.77 inches. Finally the ballistic coefficient of .22 JSB Exacts at this muzzle velocity is 0.022 (I calculated this using the data from a pellet test in this AirgunGear Show video). If you put all of this data into ChairGun Pro the software will produce and intercept view showing you the points of impact for the different mil-dots. I cheated and told the software I had a half-mildot scope to get more information. You can also see from the ballistics table that the pellets are still carrying a fair punch right out to 60 yards. Data produced by ChairGun Pro proved to be spot on. So what’s it like in the real world? I went down to my permission with a view of seeing if the mil-dots matched up with the intercepts generated by ChairGun Pro. I set out a steel knock down target with a 25mm kill-zone at 40 yards, which was too easy. Next I moved the target back to 50 yards – about 3.5 mil-dots. To my utter amazement I hit the target (prone, rested) not once, but 5 times in a row. I’d never shot an air rifle at this range before. At this point, my brother who could see I was grinning like crazy said “60 yards?” Well I’m not going to lie, I missed the first two shots slightly left, but when the 3rd knocked the target down I felt like a kid on Christmas morning! Since this outing I’ve taken the rifle down to a local range. It was a wet day and I had the place to myself. 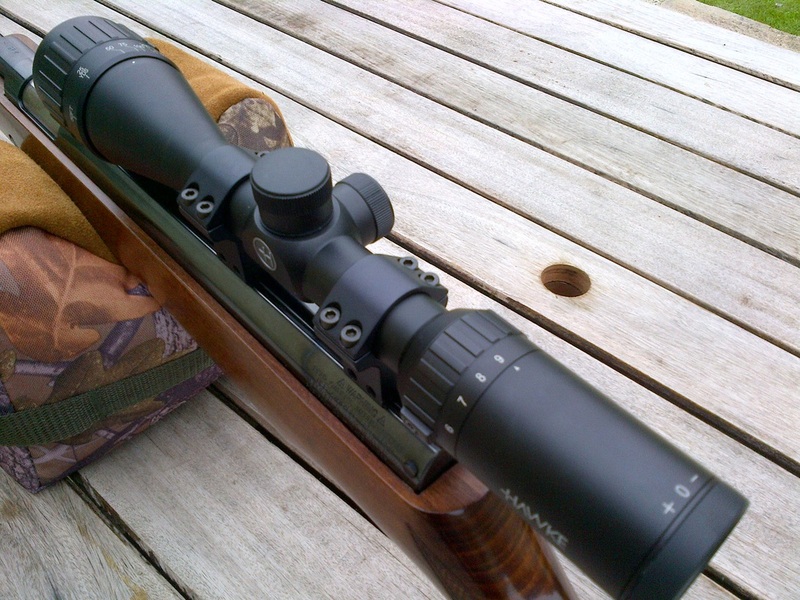 Rested from a bench the rifle was consistently hitting small spinners at 50 yards. I also noticed the adjustable objective gave range readings that were close enough out of the box as to make the mil-dots easily useable out to 50 yards. In the course of 2 hours I put about 200 JSB Exacts down range. The POI at 27 yards didn’t change and the intercept card was still bang on at the end of it. Am I glad I splashed out £47.99 on a new scope? Yes! With the exception of accurate range finding (which really required a large side-focus wheel) this scope does everything I had hoped it would, and it does it well. It also comes with a 10 year warranty, which offers peace of mind. One slight annoyance is that the tube is shorter than on my old Sport HD, meaning there isn’t a whole lot of space to add my torch. I think that the mil-dots will be useful on permissions where I shoot from a hide and know my distances well. However mil-dots don’t turn you into a 50 yard rabbit sniper overnight. I’m taking things slowly and sensibly, and having a lot of fun practicing on targets along the way!